The latest version of Skype takes the messaging app to version 6.0. Those using the Apple iPhone or Apple iPad can use the new version now, while the update is getting pushed out for Android users beginning today. That means that Skype users with a mobile device powered by Google's open source OS, might not receive the update for a few days. Version 6.0 for iOS offers a new design, allowing Skype users to navigate the app faster. Swiping on your screen can help you make a call or manage your messages. And Skype will now allow you to share your photos, links, emoticons and your location while on a voice or video call. The new "recents" tab allows you to go back through your messages and helps you find contacts and groups. Skype has also improved messaging on the iPad version of the the app, and iPad users can now start a group chat or group call from their iOS powered slate. 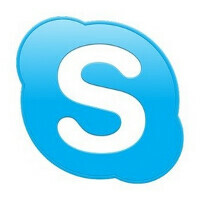 The iOS version of Skype 6.0 can be found in the App Store where it is a free download. The Android version of Skype now features Material Design. According to Microsoft, the UI is simple, "elegant, and delightful!" Version 6.0 brings custom ringtones, web link previews and photo sharing to the Android app, and also adds a floating action button. Android users will press the latter to begin new video or audio calls, chats, or when sending a video message. The update also makes it easier for Android users to see how many messages are unread, and features enhanced search capabilities. The new version of Skype will soon be available in the Google Play Store. Microsoft added that it is working on Skype for Windows 10 Mobile, and will report back when that version of Skype will be ready. Windows Phone users have complained about the way Microsoft seems to consider Skype for Windows Phone to be an afterthought, but the truth is that Microsoft makes more money with its Android patents than it does with Windows Phone. Looks great. Have to try it out. And they have problem supporting Skype for the WP 7.5 phone? Microsoft is really something.